Landing a great job is always a challenge and you need to have the right resources on your side in order to do it. This will require, along with plenty of other things, a resume or a curriculum vitae. Contrary to what you might have heard, these two documents are not interchangeable. Here is a guide to understanding CVs and Resumes and knowing when each is appropriate. Both the curriculum vitae (plural curricula vitae) and the resume are intended to be summaries of your professional and educational accomplishments. They also include contact information which will allow interested employers to get in touch with you. Resumes and CVs should both be tailored to match the position you are applying for, although the CV being more comprehensive, does not change very much. The curriculum vitae has always had a more academic slant than the resume. It delves into greater detail regarding your academic history and it is expected to be longer overall. In contrast, the resume is supposed to be an efficient career summary. Brevity and clarity are the chief values of a good resume and the one-page resume is considered ideal for everyone except the very most experienced employees. As noted above, the curriculum vitae is academically oriented. This means you will include much more than simply the places and dates where you acquired degrees. A CV can highlight academic achievements, such as, grants and awards, describe theses or dissertations, and describe relevant experience beyond jobs (e.g. internships, lab work, field work, to name a few). Curricula vitae should also list any and all career-relevant publications you have made. CVs also provide a list of the professional and academic organizations you belong to. If you have participated in major conferences or projects in a significant way, these should be mentioned as well. Finally, the curriculum vitae usually includes contact information for references. As you can imagine, the curriculum vitae can grow very long, especially for seasoned professionals in academic disciplines. Completeness is valued over brevity here and there is nothing wrong with taking as much space as you need when crafting a curriculum vitae. The name of the resume is taken from the French word for summary, and you should let that be a strong indication of the document’s focus. Resumes should be one or at most, two pages. While resumes were rather generic in the past, in the modern job market, employers expect to see resumes tailored to fit the needs of the specific position. That means you may need to “mix and match” information to build the perfect, concise resume. Resumes focus primarily on two areas: work experience and skills. 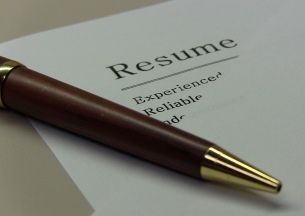 While both always need to be included, resumes can be slanted towards one or the other area. Chronological resumes lead with your work history while functional resumes concentrate on skills. Unless you have a good idea about the preferences of your potential employer, it is best to select the resume format that presents yourself in the most positive light. Functional resumes are particularly useful for people transitioning into new industries or ending a long work interruption. Hopefully, your potential employer will explicitly call for either a CV or a resume in their job listing. Submitting one document when the employer is expecting another is a bad way to start your relationship. Do not be afraid to contact the company you are applying to and ask for clarification if you are unsure. CVs tend to be far more common in academic and scientific fields than in business, especially in the US. The curriculum vitae is often preferred in Europe and non-US English-speaking countries around the world. It is important to note that the common CV in these regions (particularly outside of academic circles) is closer to an extended resume than the full curriculum vitae described above. If you have recently moved to a country where the document conventions are different, seek out local advice on resumes and CVs and look at some examples. Ultimately, there is no absolute standard that governs which document is the best fit for a given job application. You need to use your intuition and what you know about a potential employer’s needs to craft an impressive resume or CV. As long as you are mindful of an employer’s stated preference and craft a solid example, you should be able to put your best foot forward on paper. I can’t believe that today is the first day of Spring. It seems like just a few weeks ago I was complaining about it being the first day of Winter. Time sure zips right by when you’re having fun. And I have been having a pretty good time meeting people (in person or over the telephone/internet) and writing resumes and cover letters for them. The number of resumes I’ve written has been gratifying (I really do appreciate the business), but the variety of the professional backgrounds has been astounding. In the last several weeks I’ve worked with law enforcement professionals, IT folks, nurses, physicians, HR Directors, sales people, and several soldiers and marines. I think that this is my favorite part of the resume writing business – getting to meet and know people with different skills and from many different professional backgrounds. Most people are truly fun – they are interesting and they all have their own unique story to tell. Many times in my life I’ve missed these stories because I was too busy to stop and listen. Working on their resumes forces me to take the time, and I almost always come away from the experience feeling like I have received as much as I have given. I’m a pretty lucky guy – I actually like my job. I’m also pleased that most of my customers seem to like the job I do for them. I get positive feedback from them after they receive their new resume, and many of them also send me very nice testimonials about my resumes and my work. And now, our resume writing service has received a pretty impressive award. We’ve been awarded the Thumbtack Elite Award from www.thumbtack.com (a marketplace for local services – Thumbtack connects trustworthy service professionals with their customers). We have been ranked the #1 Resume Writer in Ann Arbor, Michigan. I am grateful to thumbtack for their recognition, and I am really grateful to my many customers. I’m happy that they like their new resumes, I’m glad that they appreciated how they were treated, and I wish them good luck as they pursue their next professional opportunity. There are many components to a successful job search. And all of these components are important to the process. For, without them, the already difficult task of finding a job becomes much more difficult. But, if I had to choose just one component, and if I was forced to identify this one component as “most important” – my choice would be a simple one to make. Networking! Networking is the single most important part of a job search. And what, exactly, is networking? It’s just talking and communicating and reaching out to people. Networking is simple. You simply tell people that you’re looking for a job – a lot of people – just about anyone you can think of. I’m already a 100% believer in networking. But if I needed any further encouragement, I found it at a sporting goods store on November 14th of this year. True story! I’m standing in line behind several hunters (I live in Michigan, our firearm’s deer season starts on November 15th, and my 15 year old is an avid hunter) and I hear one of them talking to his hunting buddy about how difficult and long his job search has been. He talked about his discipline (a telecommunications solution provider), and about how frustrating it had been to be out of work for over 3 months. True story! The guy behind them in line has also been listening, and after a few minutes he interrupts their conversation and starts asking the job seeker questions about his background and his experience. Long story short – he listens for a bit, and then introduces himself, tells the fellow that he has been looking for someone like him for quite a while, and invites him to his office the following week for a job interview. Now, I can’t say how the rest of this story played out. I don’t know how the interview went. I don’t even know for sure that the interview took place. But I do know this. Without the networking that occurred in that line – nothing would have happened to help this guy’s job search. With the networking – he was invited in for an interview for a job he seemed qualified for. And I also know this. If you don’t interview for a job, you don’t get the job. It’s that simple. I got a call from an old friend yesterday. It was good to hear from him – we caught up on all the old news, chatted a bit about some people we both know, and told each other the same lies we’ve been telling for years. Then he got around to telling me why he was calling. I hear what he told me all the time – it’s a very common story. It happens to lots of people all the time, and I’ve become somewhat immune to it by now. But that didn’t make it any less painful and confusing for my friend – it was up front and very personal to him. You probably get my message here. My friend is a real sharp guy – but he doesn’t have a clue what to do now. He’s got a great education and a lot of real impressive experience – but he doesn’t have a clue what to do now. HE DOESN’T KNOW WHAT TO DO. He’ll be fine – eventually. He’ll pout and feel sorry for himself and get angry…and then he’ll finally get to a place where he can start thinking about what to do next. He and I will talk, and I’ll help him write his resume, and he’ll find a new job – eventually. So, here’s the point. Don’t get caught like my friend. I’m not saying that you should worry every day about losing your job. But I am saying that, if you never consider the possibility of losing your job – you’re being awfully naïve and you’re just kidding yourself. This is 2011, and nobody’s job is totally safe. It’s called the “godfather syndrome” – not personal, just business. But you’re still dead, or at least your job is. Keep your head up and your eyes open. And, every couple of years, take a good look around. And, on a regular basis, ask yourself what you would do if you lost your job. And I don’t mean just as a casual question with no real answer. I mean – actually think about the specific steps you’d take if you lost your job. Be prepared. You won’t be sorry.